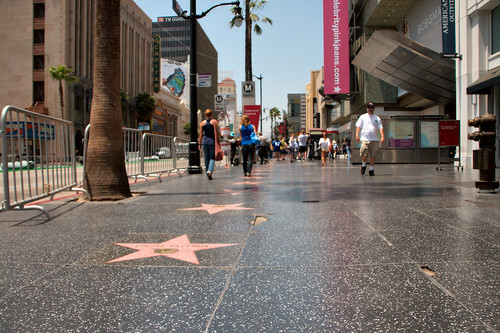 The Hollywood Walk of Fame - the famous sidewalk along Hollywood Boulevard and Vine Street in Hollywood celebrates 50 years today. 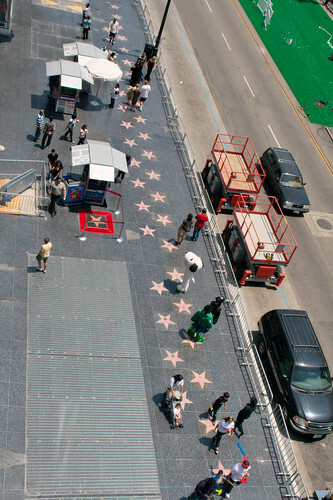 The Walkway is embedded with more than 2,000 five-pointed stars featuring the names of not only human celebrities but also fictional characters honored by the Hollywood Chamber of Commerce for their contributions to the entertainment industry. Each star consists of a pink terrazzo five-pointed star rimmed with bronze and inlaid into a charcoal square. Inside the pink star is the name of the honoree inlaid in bronze, below which is a round bronze emblem indicating the category for which the honoree received the star. 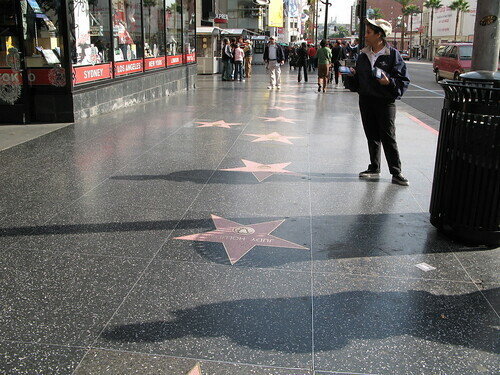 The Walk of Fame was started as a part of the Hollywood Blvd. Improvement Program and on February 9, 1960, Joanne Woodward became the first performer to receive a star on the Hollywood Walk of Fame, at 6801 Hollywood Blvd. 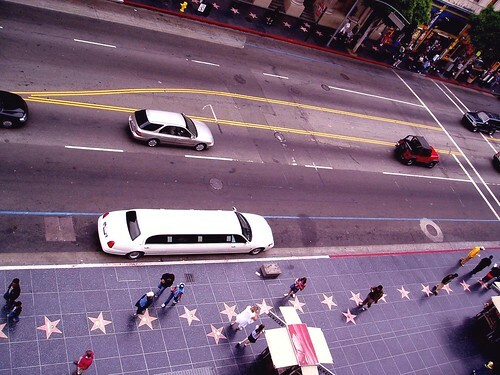 Since then it has become one of the most visited place in Hollywood and a must visit spot for the tourists visiting Hollywood. It is nearly a three-and-a-half-(3 1/2)-mile (5.6 km) round-trip walk. Here are some Google Street Views.